… and is prepared to invest time & effort doing it. 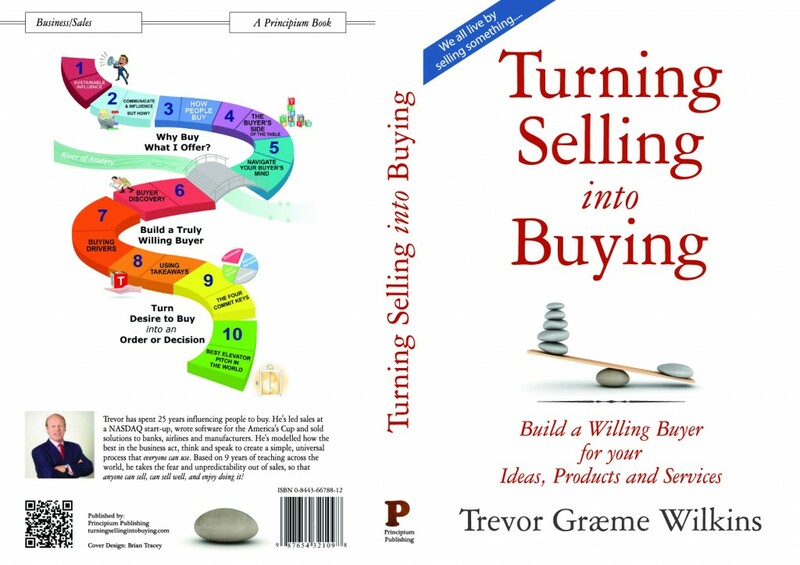 If you accept whatever fate throws at you, or never need to sell or convince anyone, this book isn’t for you. If you want an enjoyable, easy to understand book that, with a little effort on your part, will transform the way you influence people – this book delivers it. 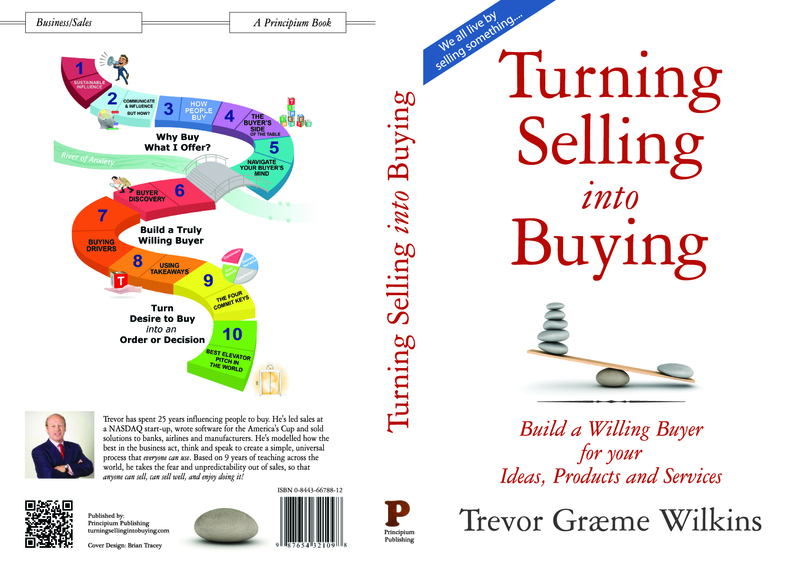 If you’re looking for that all-important ‘first reference sale’ – or you’re seeking investors or partners, Turning Selling into Buying is a game changer that makes things happen – earlier, more easily and more predictably. Once you need a sales team (rather you leading every sale) you don’t need expensive recruiters, with the potentially expensive risk of getting the wrong person. You can safely grow your team, and its managers, from within – built on experience you’ve already gained. If this describes you, Turning Selling into Buying is just great. It adds many productive skills to your regular style. New insights and skills will make your results more predictable, you’ll waste less time, minimise risky guesses & assumptions and deliver earlier results. If you’re a manager, your forecast will be transformed and you’ll waste far less time in ‘wild goose chases’. TSB will even transform the profitability of your channels and partnerships. Are you great at what you do? But you hate ‘selling’ yourself? TSB is for you. It suits a rational temperament and boosts anyone’s self-confidence. You’ll approach your clients positively, effectively and profitably once you know exactly what they’ll gain from your work. It’s at the heart of what you do every day – influencing others to ‘buy into’ tasks or change. You need to ‘sell’ ideas, plans, the benefits of reaching an objective – these are where TSB will save you and your company time, money, energy and frustration. If you ever need to influence anyone, or sway a group to ‘buy into’ a decision or vision, then this approach is for you. Maybe you’re having problems with your neighbour; perhaps you’re a charity fundraiser; maybe you just want to bridge the gap between you and your kids. Do you need to sell a car, but can’t turn a prospective buyer into cash? You’re a painter who needs more work in a tough market, or a specialist with hard-to-sell ‘technical services’. You and thousands like you can benefit from Turning Selling into Buying. Let’s face it, when you’re looking for a new job or promotion, you’re selling yourself. You need people to ‘buy’ you and what they’ll take away from employing you – maybe even more than in a commercial situation! With TSB, you can Turn Selling into Employing!